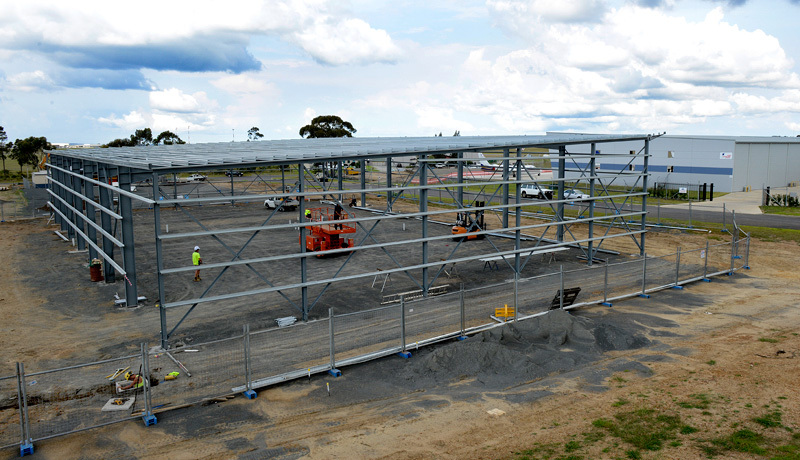 The construction of the third aircraft hangar at our operations facility at the Albatross Aviation Technology Park is well underway and we hope to have this finished within 2 to 3 months. This is the final stage of development on this site and will consolidate all of our operations capability on one site. We also take this opportunity to wish all of our customers, clients and suppliers a Merry Christmas and a Happy New Year. We will be closed from December 20 and re open on January 6, 2014. The Air Affairs Australia team has just returned after a successful exhibit at this years Pacific 2013 International Maritime Exposition. The event was at the Exhibition Centre in Darling Harbour as part of the Australian Navy anniversary celebrations. Air Affairs were located on the NSW Trade and Investment stand and were kept very busy with enquires about their Phoenix Jet UAV Target Drone and other services the company provide. 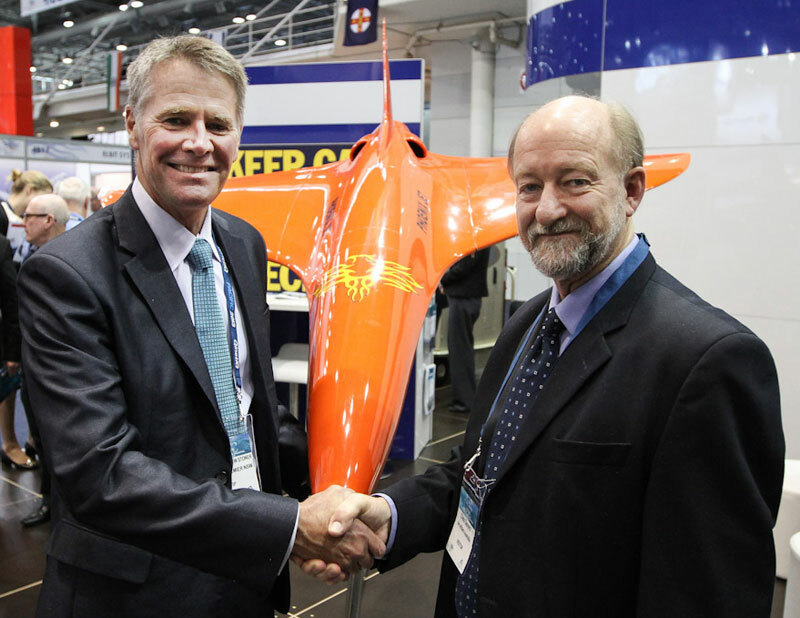 During the exhibition the NSW Deputy Premier Mr Andrew Stoner visited the team and was very interested in the Australian designed and manufactured target drone. 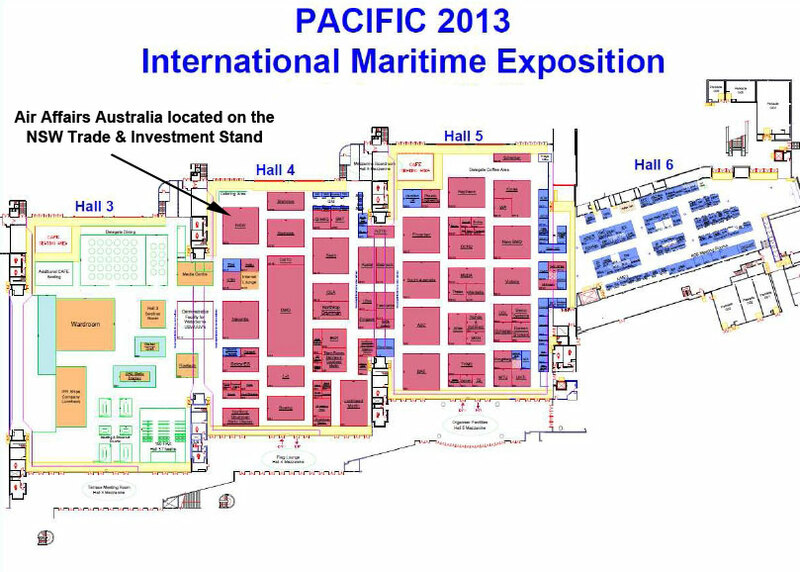 Air Affairs Australia will be exhibiting at this years Pacific 2013 International Maritime Exposition. The event will be held at the Exhibition Centre in Darling Harbour, Sydney from Monday October 7 through to Wednesday October 9. The Air Affairs display will be located on the NSW Trade & Investment stand which is located in Hall 4 and the stand number is 4B20. If you are visiting this event please come to NSW Trade & Investment stand and meet the Air Affairs team. We will have our Phoenix Jet Target Drone on display as well as information on other products and services we provide. Our Phoenix Jet Target Drone Chief Controller will be on hand from Tuesday October 8 to discuss the operation and features of the system. Opening hours are Monday 7 October 09:00 – 18:00 , Tuesday 8 October 09:00 – 18:00 & Wednesday 9 October 09:00 – 18:00. 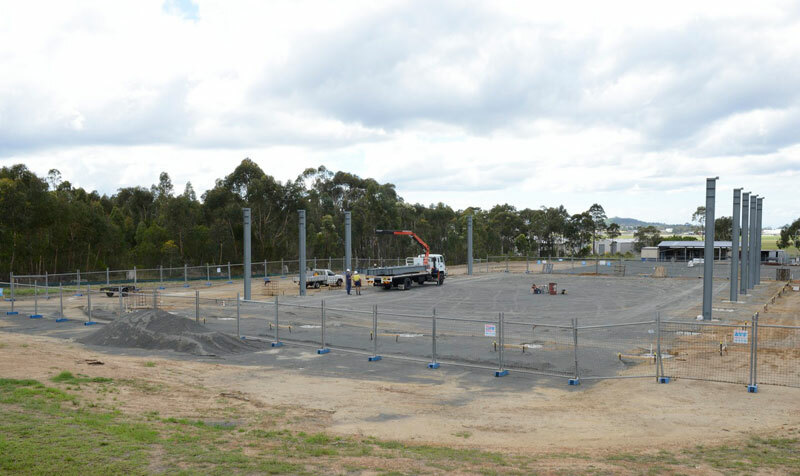 Construction work is progressing well on a new facility adjacent to the Air Affairs current facility at the Albatross Aviation Technology Park for purpose built aviation support workshops. This is expected to be completed by late July and continues to strengthen our commitment to Defence support services at HMAS Albatross. 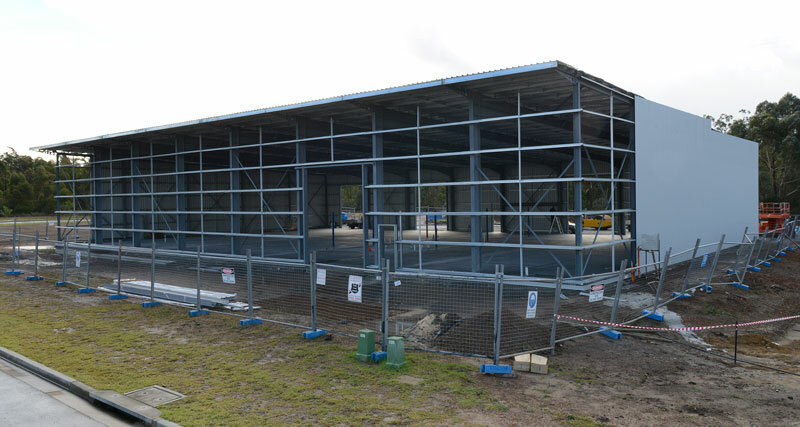 Construction work is progressing well on a new facility adjacent to the Air Affairs current facility at the Albatross Aviation Technology Park for purpose built aviation support workshops. This is expected to be completed by mid-year and continues to strengthen our commitment to Defence support at HMAS Albatross. 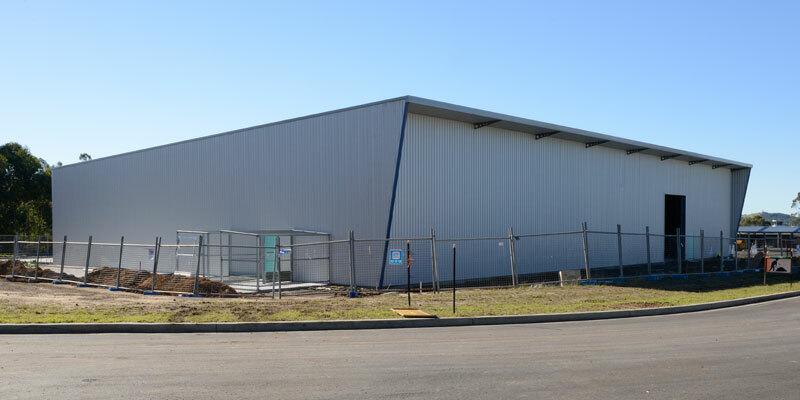 Air Affairs Australia have commenced construction on a new facility adjacent to their current facility at the Albatross Aviation Technology Park for purpose built aviation support workshops. This is expected to be completed by mid-year and continues to strengthen our commitment to Defence support at HMAS Albatross. Air Affairs Australia will have their Special Mission Learjet 35A on display at the 2013 Avalon International Air show. The Learjet will be on display from Tuesday February 26 through to Sunday March 3. 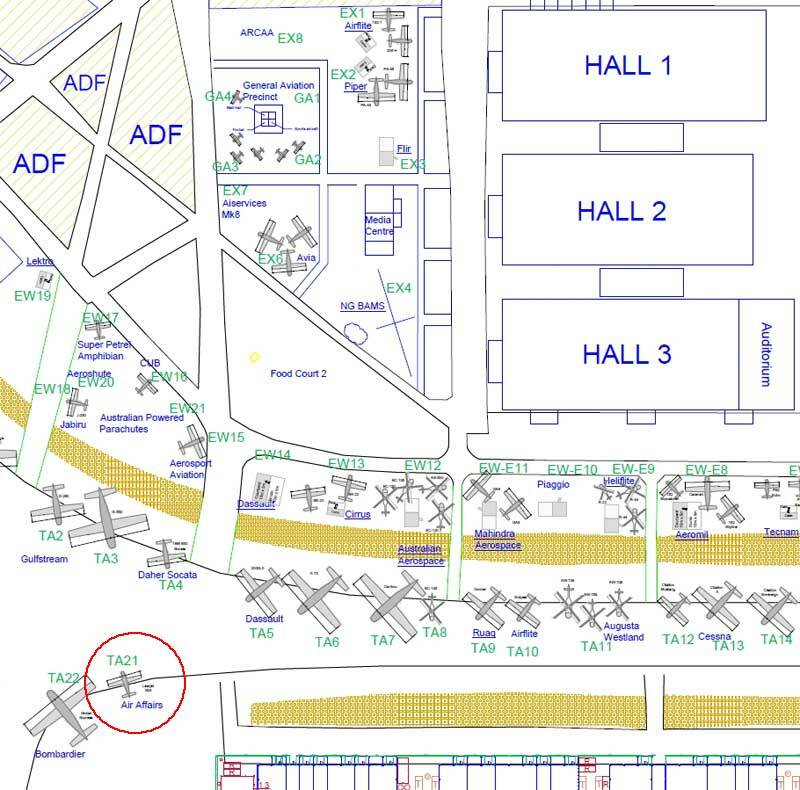 Our aircraft will be located on the tarmac North/West of Exhibitor Business Unit Line (TA21), see below exhibition map for location. Please come by and take a look at our Learjet which will be fitted with some of the Special Mission options. We will have staff available to discuss mission and charter options. Air Affairs Australia have installed and commissioned two new CNC machine centres at their South Nowra facility. These new machines are capable of simultaneous 5 axis machining and complete their existing machining capabilities which includes 4 and 3 axis machining centres, CNC Lathes and CNC Laser Cutter. The Air Affairs Australia machine shop is one of the most capable in Australia and carries out machine work for their own projects and projects as well as work for aviation and defence companies locally and internationally.